Expect this section to go into hibernation for a few weeks--as you can see there aren't many new releases until January 11, 2011. But that doesn't mean that there aren't a few great releases coming out this week. 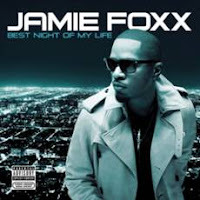 It looks like Ghostface Killah's album was pushed back from last week, but another exciting release this week is the new one from Jamie Foxx, The Best Night of My Life (pictured at left). Other new albums out this week are all below; there really aren't too many of them. See you in the new year! Just wanted to give an end of the year thank you for the way you set up your "new releases" posts. They are far ahead other blogs in their completeness and ease of reading with the handy grid! Thanks! I tend to write them a few days in advance so there are cases (like this one) where I actually leave a few out--just because I haven't uncovered them until later. I always throw them up in the "upcoming releases" section though!